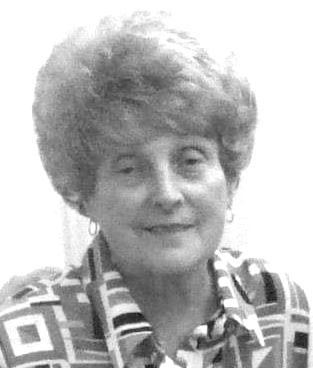 Lois “Carol” Davis Simmons, 74, a resident of Elkins, departed this life Tuesday, April 9, 2019, at the Ruby Memorial Hospital at Morgantown. She had been in declining health for the past six months. She was born Wednesday, May 3, 1944, at Elkins, a daughter of the late John Henry Davis and Lois Catherine Cooper Davis, who survives at Roanoke, Virginia. On Jan. 6, 1961, she was married to Harry Eugene Simmons Sr., who preceded her in death Oct. 6, 1999. They had celebrated 38 years of marriage. Surviving are one son, Harry “Eugene” Simmons II of East Dailey; one daughter, Sherry Lynn Hare and husband Birch Jr. of Elkins; one brother, Richard Johnny Davis and wife Joyce of Baltimore, Maryland; two sisters, Patty Ann Cooper and husband Ellis of Morgantown and Peggy Underwood and husband Bruce of Warrenton, Virginia; and six grandchildren, Ginny Simmons, Emma Hare, Ashley, Richard and Kathlyne Simmons and Joey Badgett. Preceding her in death are one son, Gregory Duane Simmons; and three sisters, Helen Hankins, Debbie Pyles and infant Wanda Lou Davis. Carol attended the schools of Randolph County. She was an employee of the former Reidboard and was a babysitter for over 30 years. She was a Christian by faith. Her hobbies included bingo and cooking. Carol loved her grandchildren very much. The family will receive friends at the Lohr & Barb Funeral Home of Elkins from 4 – 7 p.m. Monday. Final Rites will be conducted at the funeral home, Tuesday, April 16, at 10 a.m. Verl Simmons will officiate and interment will follow at the Mountain State Memorial Gardens at Gilman.